Lisa Schuman, licensed clinical social worker (LCSW), is RMACT’s Director of Mental Health Services. With almost twenty years of experience in the field of reproductive medicine, Lisa provides patients with support, guidance and education. She is also part of the Third Party Reproduction Team, for which she screens and counsels egg donors and gestational carriers. In her role as Director of Mental Health Services, Lisa is responsible for staff education concerning patients’ emotional needs, stressors, and ways to offer additional support. Beyond her work with patients, Lisa has extensive academic experience. She has received several awards for research projects at the American Society for Reproductive Medicine’s (ASRM) and the Pacific Coast Reproductive Society’s annual meetings. She has also presented at ASRM symposiums and roundtables. In addition, she is chair of the Oocyte Cryopreseration Task Force for the Mental Health Group for the ASRM. In addition to her work in reproductive medicine, Lisa is founding director of Adoption Cooperative Consultants, an adoption consulting group and is on the board, supervises clinicians and is on faculty at the Object Relations institute. 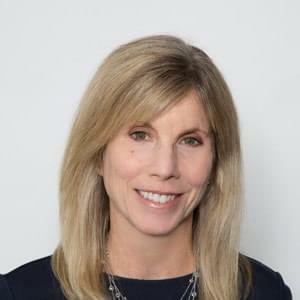 She has a private practice in Westchester and New York City and sees patients for individual, family and couples therapy for a range of challenges, including stress management, career transitions and parenting. Lisa completed college at Northeastern University and received her MSW at Yeshiva University. Before entering the world of psychotherapy, she worked in advertising and business. After seven years in the business world she decided her calling was in helping people and went back to school to get her graduate degree. She then completed four years of post graduate training in psychotherapy and psychoanalysis, studied short term therapy and became a licensed substance abuse counselor as well. Her desire was, and continues to be, to continue to grow and learn with the aim of having added skills to help her patients. Lisa meets with patients at RMACT’s Norwalk and Stamford offices.